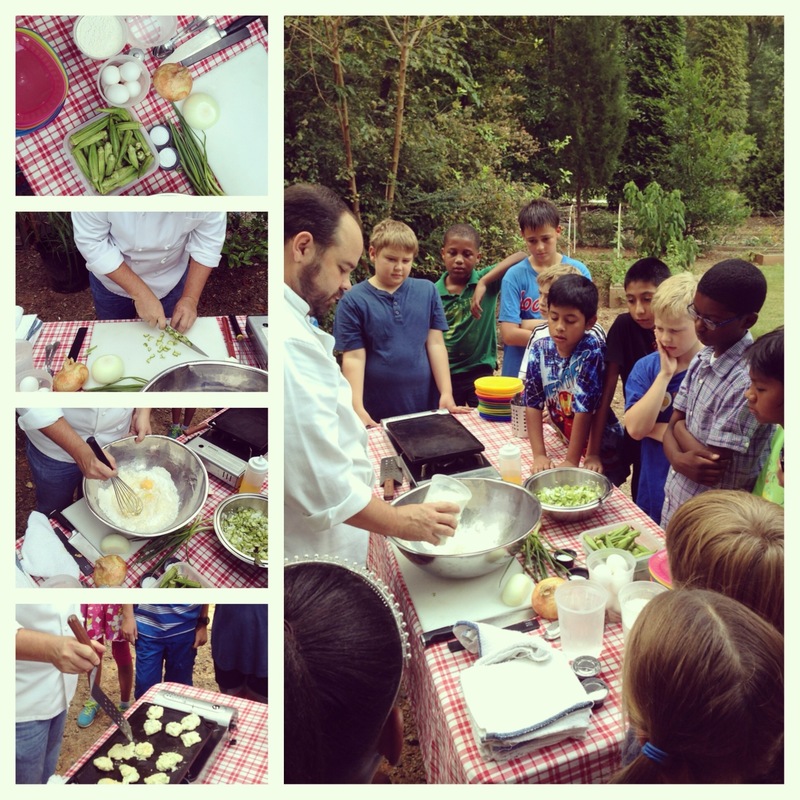 On Monday, Chef Andrew from Atkins Park came by to teach our fourth and fifth graders about cooking with okra. Students have been growing okra in the garden and were able to pick okra before we started our lesson. They learned that okra is high in Vitamin C, Vitamin K, and folate and learned how to make okra fritters. You can find the recipe on the Schoolyard Sprouts recipe here. See the video from his Okra Fritters demonstration last year here. 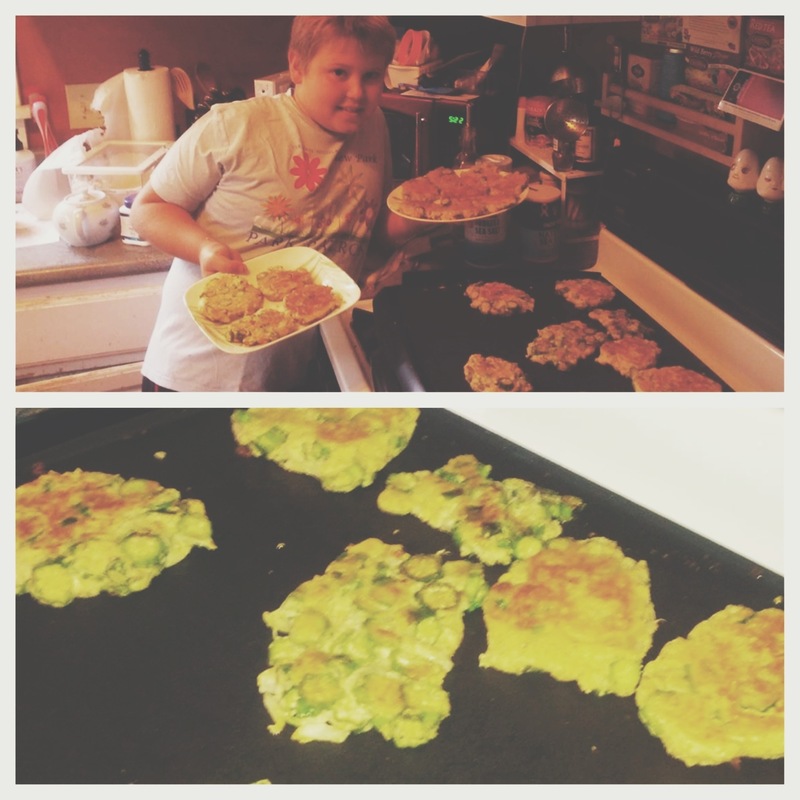 After the lesson, Harrison went home and made his own okra fritters!